According to Wikipedia (German), best viagra pharmacy “Deruluft (Deutsch-Russische Luftverkehrs A.G., generic viagra viagra or Deruluft) was a joint Soviet-German airline, ed established on 24 November 1921. 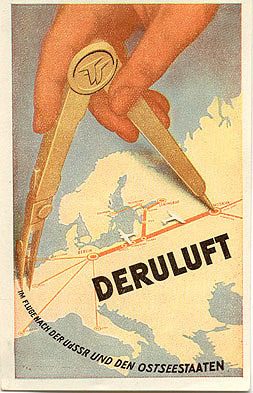 Deruluft opened its first service to Moscow from Königsberg (later Kaliningrad) on 1 May 1922. 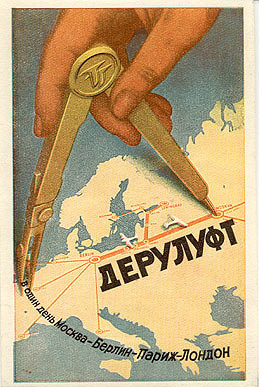 It started a new route from Berlin via Tallinn to Leningrad on 6 June 1928, and maintained both routes until 31 March 1936. Björn Larsson has more on his wonderful website, Airline Timetables. These are some of my favorite images and represent a past lost to war and disaster; a future that could have been but instead was destroyed. 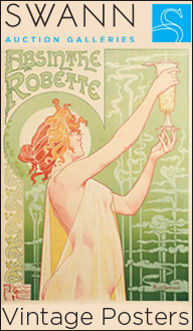 The design is also lovely and they are unsigned. These are original luggage labels in my collection (not reproductions) and the labels are German and Russian versions of original language luggage labels. These are not posters or brochures but luggage labels. The labels are circa 1931 or 1932. 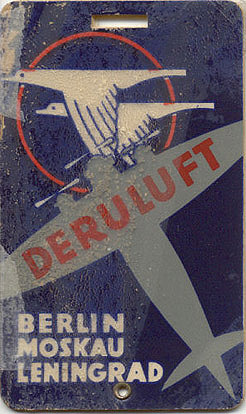 Now this is something different: An actual luggage tag from Deruluft airlines, circa 1930 or 1931. The plastic (is that what it is?) has loosened off the cardboard but it remains amazing. I googled Deruluft today and your article on paper design (2013) came up with the pic of the luggage tag. It surprised me as one of these tags has been in my collection for awhile. Are they rare? Mine came as a “throw-in” with a deruluft postage cover and is nearly perfect. Thanks for giving me a new found appreciation for this interesting piece of history/art even though it has taken three years for me to “find” your informative article.